Associated Students is getting back on the online voting system carousel, after a unanimous vote. After at least three past attempts and failures at getting an online voting system to function properly during A.S. elections, the senate approved funds to afford a contract with a private company to manage the student government elections for the year. “We need to have an online system,” said Austin Ysais, Upper Division I senator. The contract will cost $8,900 for the school year, and the service will be used during the fall and spring elections. Funds were transferred from two other areas of the elections budget, specifically referendum/runoff and salaries, in order to satisfy the cost for hiring the outside contractor. Big Pulse, the private online voting company that A.S. approved funds for, has worked on elections with California State University Long Beach and Bakersfield said Dan Monteleone, director of elections. There was positive feedback from the two campuses about their experience with Big Pulse, Monteleone said, and the Cal State Long Beach’s voter turnout doubled when they switched to an online voting system. Yet, with so many failed attempts, there was concern about whether or not there was a backup plan should the system fail. 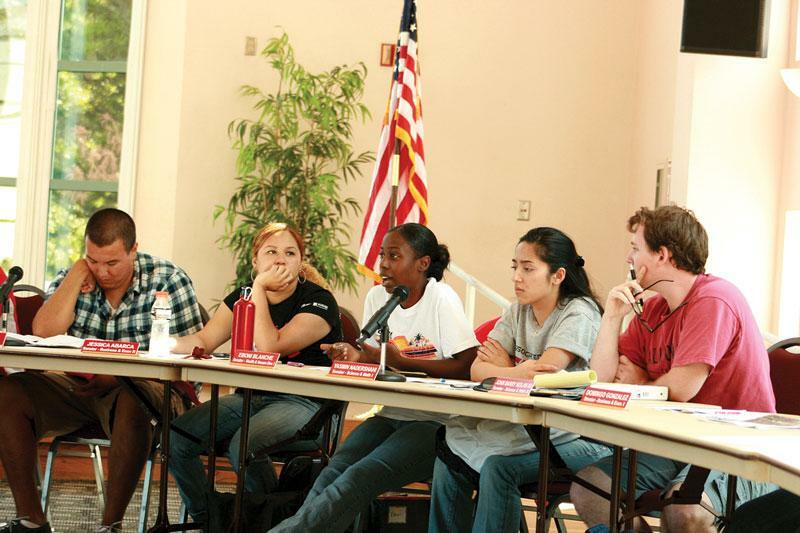 For example, the attempt to use online voting software for the fall 2008 A.S. election resulted in problems with candidates being pre-selected on ballots and students being locked out from voting, as reported by the Daily Sundial. “I want to make sure a situation like that doesn’t happen again,” said John Barry Neilan, Science and Math II senator. “He made it sound like it was a perfect online voting system,” Ysais said after the meeting. Monteleone was confident from his correspondence with Cal State Long Beach, and Cal State Bakersfield that the Big Pulse could be trusted. “I believe with all the safeguards we have in place, they should run smoothly,” Monteleone said. The potential savings, Monteleone said, adds up to roughly $11,250 based on cuts to the number of street team members and poll workers that will be needed once the online system is in use. Devin O’Neal, at-large I senator, said once he was told there would be a cost savings, it took away his concern about working with Big Pulse. The focus on online voting will cut down the number of polling booths on campus to one, which will be located in front of the library. Street team employees and poll workers will be paid the same, Monteleone said. Ysais didn’t agree that only one polling place should be on campus, especially in front of the library. Ysais said he wanted to revisit during next weeks A.S. meeting the issue of how many polling booths will be on campus during elections. Funds from A.S. Elections will be taken out from the Elections referendum/runoff and salaries budget. The elections runoff/referendum budget funds are used when there is a change in the constitution or when A.S. wants to increase student fees. The salary funds are used to pay for street team and poll workers salaries. Regardless of the opposition, the amendment passed unanimously. “It’s just about time we move to online elections,” Neilan said. OMG. What’s his name is no longer director of elections and it’s already looking up. What a surprise. Good article. Just a few minor corrections. It’s BigPulse (one word). Second, the salaries savings was a conservative estimation based on the budgeted salaries. Actual salaries were more, but I didn’t have that exact number at the time. Last years salaries, from my calculation, were about 23,800, so we would actually save about 17,950 dollars as opposed to the 11,250 number I threw out in session. (I figured I should have erred on the side of caution rather than over-state the savings). Finally, the website is http://www.bigpulse.com if students want to see for themselves what it is.